Post subject: Re: RISE! RISE! RISE! DungeonRise! Previews!!! When? These will be my first Terraclips sets..
ROCK ON!!! Will definitely be getting several of these. count on me, I will buy it! New prewiews on your 10th anniversary, Denny? I helped on the beta for the original iteration of Dungeonrise and can't wait to see what this one looks like. This. A million times over. I can see owning multiples of each for sure...and I plan on it. Wow, this has been a loooonnngggg time coming. Glad to see that it is finally leaving the chrysalis. I will be saving my boxtops! 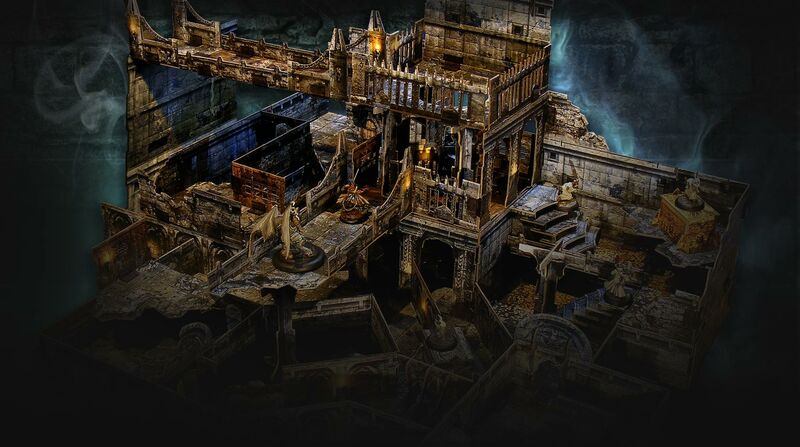 I don't have any need for a Dungeon set myself, but I am very keen to see what new ideas you guys have come up with. The v-shaped stairs you can just make out in the background are a nice detail. That looks beautiful (as if one word coudd cover it). Denny, how you manage to surpass your own texturing work I'll never know. But you've done it yet again! Omg all 3 are dungeon sets! go on with the previews i have to see if i need 4x each! p.s. i see double height walls? a wall looks like... a cage? Last edited by badula on 05-24-2012, 02:43 AM, edited 1 time in total. I'm curious what unique pieces these will have. I've been using parts from Streets and Sewers for my current Dungeons, so I can't wait to see these previews!!! For those of you on more limited budgets, you could always calculate how many clip boxes you need and get those now and then get the Dungeons later when they are ready. That way you're not spending too much in any one month and your spouses might not be as upset as if you made one large purchase. Just a thought. You could make all that out from a blurry corner I guess we'll find out if you're right...um...dare I say soon? But yes 3 Dungeons! Originally DungeonRise was aiming for a single setting but as it developed it became apparent that there were 3 distinct dungeon "zones" evolving. Once that distinction was realized it was an easy decision to grow the 3 areas independently. BUT they work together in perfect harmony! 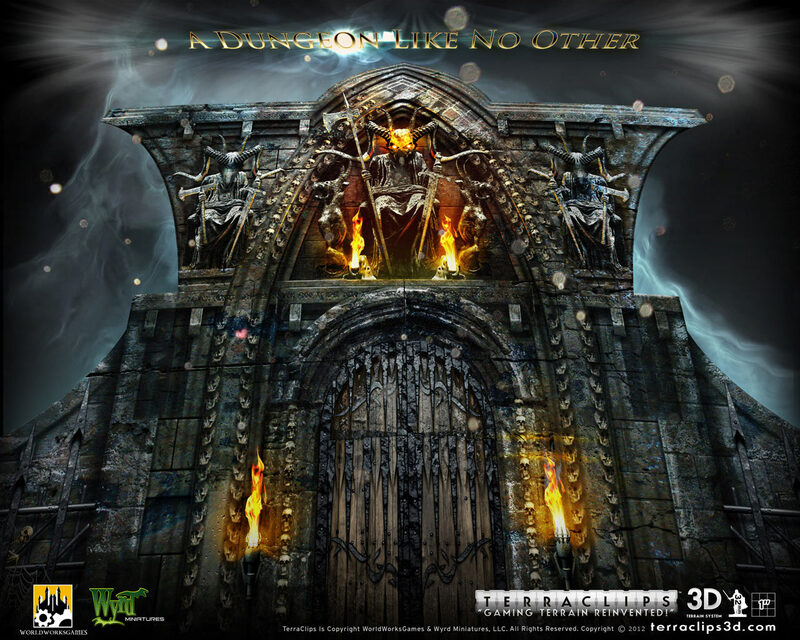 And can I just say, it was a real privilege to have the opportunity to design a dungeon again. I was finally able to get a looong list of ideas out of my head on the subject. TerraClips is PERFECTLY suited to dungeon crawls and I can't wait for it to hit shelves...and tables everywhere! I like the way you think Peter! With Terraclips' continual expansion ... a lot richer and with your imagination and talent you'll always find a way to express it Better and better still. I can hardly wait to see more previews of The Rise. But yes 3 Dungeons! 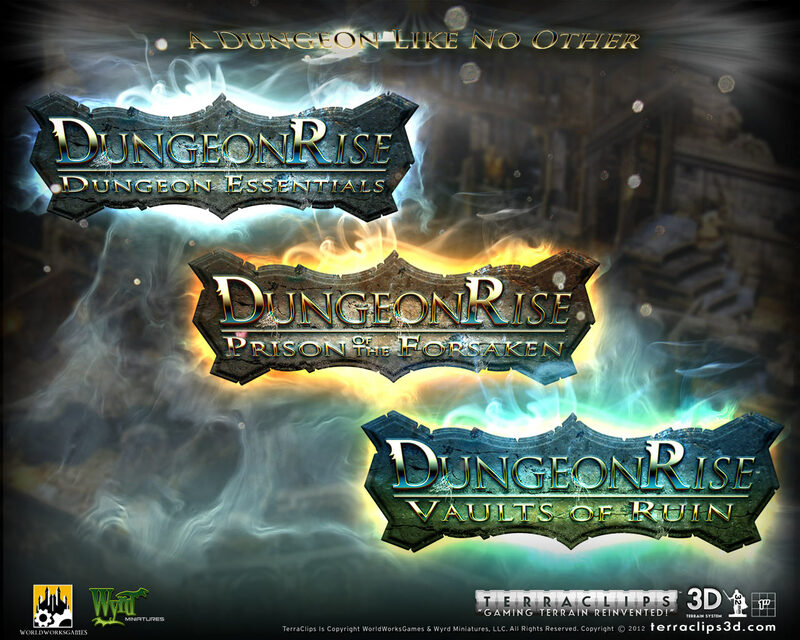 Originally DungeonRise was a aiming for a single setting but as it developed it became apparent that there were 3 distinct dungeon "zones" evolving. Once that distinction was realized it was an easy decision to grow the 3 areas independently. BUT they work together in perfect harmony! Question Denny, since the "core" one is named "Dungeon Essentials" is this going to be the "Base set" (For compatiability purposes) from which any other future dungeon type sets gets tied back to? Already earmarking money for 3 sets and 2 clips. Can't wait for the rest of the previews. I noticed that a while back. I think it is just in the Terraclips section. All of this makes me drool. Yes and no. Dungeon Essentials does contain many generic foundation items that you won't find in any other sets. That being said, all sets function as standalone offerings. Basically, each set brings something special to the mix and offers greater overall flexibility. Users will load up on each set depending on which areas they tend to gravitate to the most. We'll give you guys complete breakdowns here in the very near future! when you are really close to the release or right after that.. could you give us a breakdown of what's in each set? As for dimensioning your order, I'd suggest starting with "as much as I can manage" and go from there. Looks fantastic and I can't wait to see more. It'll fit great underneath that sewer . Is it just me or is there an angled wall in the lower preview picture? I don't see it, but I think it's possible to do based off this layout from the existing sets.